Why Use The Photobooth Finder? List your business in our extensive directory & increase your inquiries! 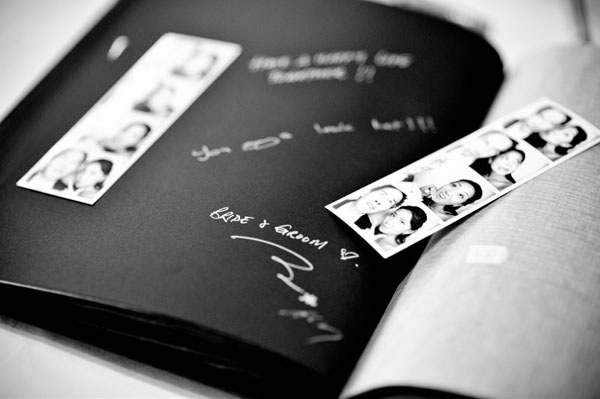 Guestbook photo albums are an ingenious way to preserve not only pictures but also written memories from your cherished event. Most photo booth operators offer these in a variety of sizes, pages and materials or will let you provide your own if you prefer. A great way to add color and a bit of good clean fun to a photo booth rental you can't go past booth props. They also assist people to get into the photo booth mood, giving them ideas for facial expressions or coaxing fellow guests into the photo booth. Props boxes can be hired from most local photo booth rental operators, however the cost, quality and quantity can vary. What you can expect to find in a props box are an assortment of wigs, glasses, hats, masks, sticks mounted items, feather boas, chalkboards and picture frames. Generally speaking if you want a really good selection, it's far cheaper to include this option in your rental than to try and source your own. Note, if your guests misplace or break some props, you may be charged a replacement fee. A great way to capture footage of your guests, however be aware of the environment surrounding your photo booth such as loud music, which may affect the sound quality of the video messaging. Also the very act of allowing guest to use this feature will reduce the number of photo-strips you receive from your photo booth rental. 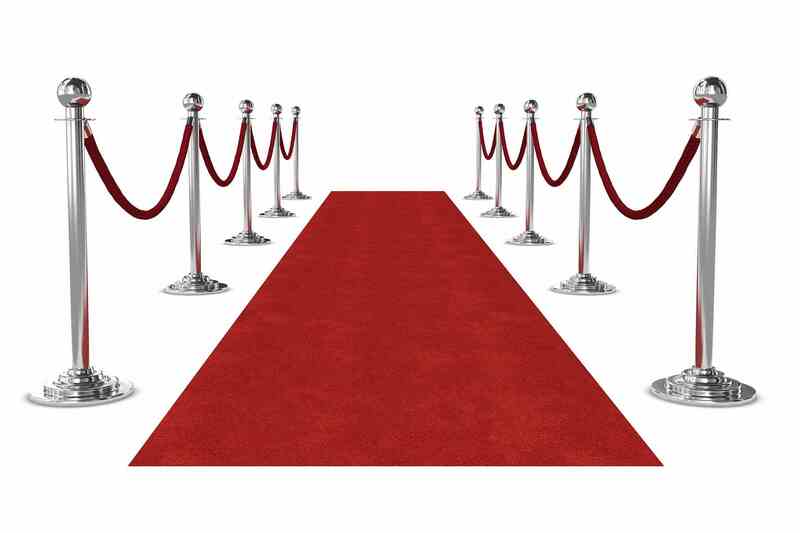 For that extra glamourous look or high end VIP event you might like to consider adding a red carpet and/or stanchions. Just be mindful that you will need to have the space to accommodate such a setup. Check with your venue as to suitability. A must have addition that is often included as standard. As not all your guests are willing to show or share their photo-strips with you having access to all the digital copies is a must and ensures you as the event holder don't miss a thing. Extra copies can then be printed post hire. Many modern machines integrate directly to social media (eg Facebook or Instagram). Guest will be required to sign into their social media accounts via the photo booth or via a separate kiosk post session. Once again be mindful, this feature can reduce your guests time using the photo booth. Naturally for these and other social media features, a good connection to the internet is mandatory. Is a custom or personalized message or image printed on the photostrip. Particularly worth considering for a wedding or special event to help turn the photo strip from just a picture to a memento. 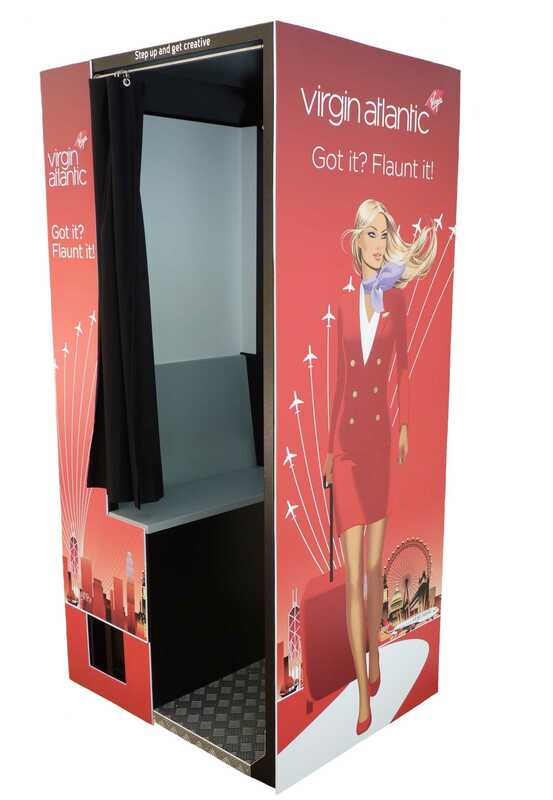 For corporate photo booth rentals it is especially good for brand awareness and advertising. The only downside is that the logo often replaces one of the picture frames resulting in less pictures per strip, but potentially more photo-strips over the course of the hire as each session takes relatively less time. The hirer's chosen photo-strip can be printed at any relative size on a canvas to make a wonderful artwork. They look particularly stunning printed in black and white, especially if the featured image is of a bride and groom. 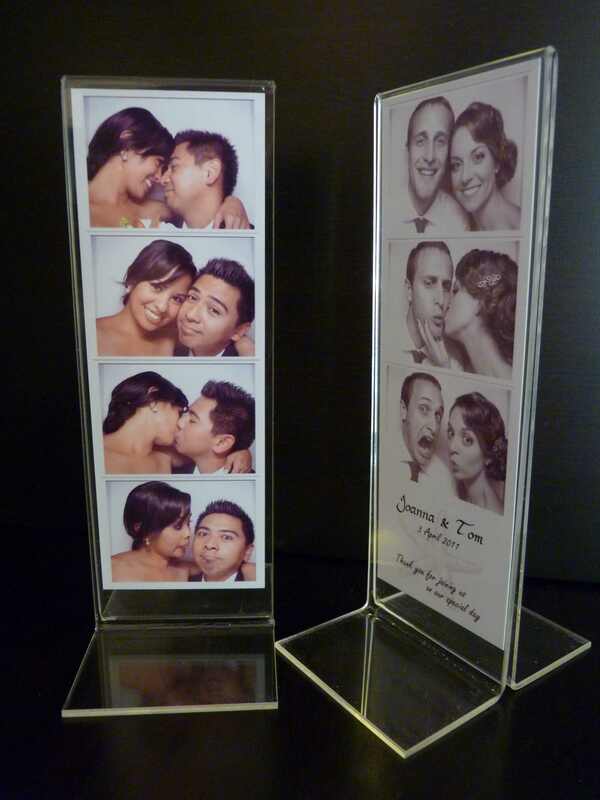 Photo-strip frames make for a great bonbonniere at weddings. Acrylic Photo-strip frames normally come in an L or T shape but you can also get frames made of metal and other materials. There are even ones with magnets to easily stick your favorite photo-strips to the fridge. Many photo booth rental businesses especially those offering open style photo booths will give the choice of different colors and styles of backdrops or curtains. This can be particularly useful if you have an event theme and are trying to have everything match. 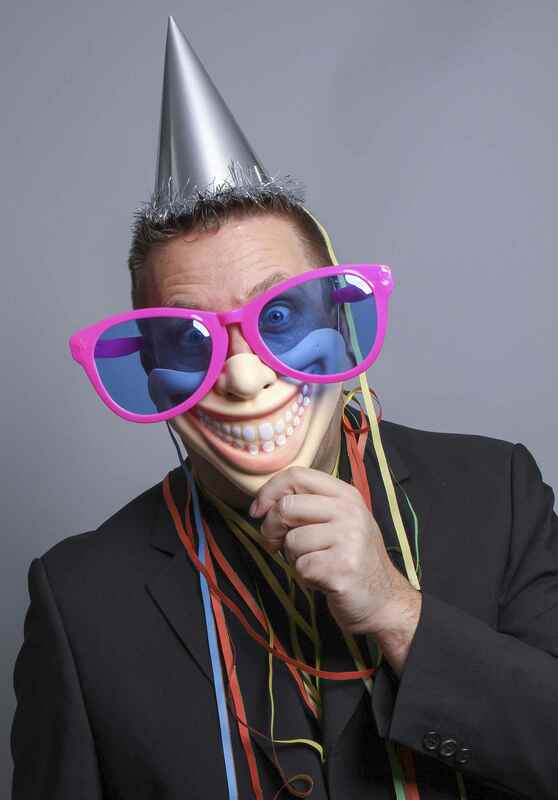 For corporate photo booth rental many photo booth hire operators offer the ability to skin the booth with the branding. Materials used for this application vary from company to company, however the most common approaches are corflute, printed magnets or posters. For operators with view screens, it should also be possible to have branding appear on the display during the hire. This branding is normally offered in conjunction with the logo appearing on the photo-strip to maximize marketing potential. This works particularly well for shopping center stalls, trade shows and corporate events. Some operators of automated photo booths may hire their photo booths for use in “coin operation” mode. This means instead of prepaying for all the prints, you potentially only pay to have the photo booth delivered. This makes the upfront hiring cost less, but your guests pay for their own shots which is likely to make the hire more expensive overall. Coin operation works well for permanent installations at nightclubs and shopping centres, but can also be applied to fundraisers and fetes with both the hirer and operator agreeing to take a cut of the proceeds. Many photo booth rental operators offer a variety of other extras not listed here. Even if your chosen photo booth operator doesn’t list an extra service you want most will be happy to try and help you- just ask!